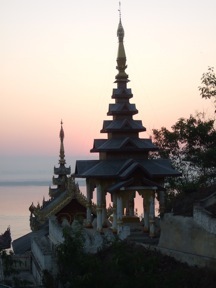 Vipassana Hawai’i’s MettaDana Project collects charitable donations that are distributed through Kyaswa Monastery in the Sagaing Hills area of Upper Burma (Myanmar), as well as to partner organizations working along the Thai-Burma border and in known conflict areas within Burma. 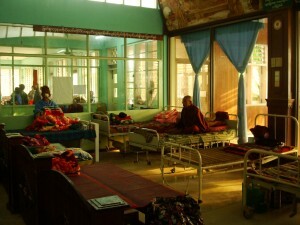 This cooperative initiative provides health, educational and related activities for local Burmese communities in need. In addition to our long history of support for the people of Burma, the recent crisis with the Rohingya people in Arakan State has led us to explore ways of supporting the desperate immediate needs of this community as well as build long-term solutions to the obstacles of a peaceful multicultural and equitable society. In addition to our normal fund distribution, in 2018 we raised an additional $18,000 specifically for aid to the Rohingya people—mostly through Michele McDonald’s online course on R.A.I.N. via Tricycle Magazine from which all her portion of the proceeds went to support this work. 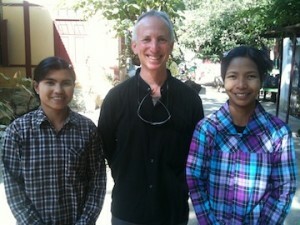 Upon arrival, we immediately met with our dear colleague U Htoo Chit of the Foundation for Education and Development. U Htoo Chit is a lifetime Burmese activist and longtime exile, who was helping us look into ways that we could support the Rohingya people directly in Arakan State. Unfortunately, conditions in Arakan State were too dangerous at the time and we could not find a way to create or support projects there without putting many peoples’ lives at risk. 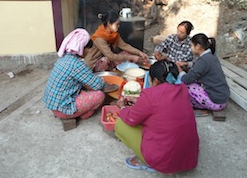 Fortunately, U Htoo Chit is connected with a growing body of people from a variety of religious backgrounds dedicated to engaging in the work of diversity and interfaith dialog across Burma, calling themselves The Lawkatharya Foundation. This group of people, many of whom are from the Generation 88 generation of activists, are also risking their lives and reputations to develop programming and educational opportunities for people to engage each other across lines of significant difference in order to create a more just and understanding society. We traveled to meet some of the leaders of these programs and deeply respect their courage and trust their dedication, vision, and understanding of what can be accomplished in such difficult times. 4) The Youth Education, Peace and Development Centre in Kayah State, another location of longstanding ethnic violence in Myanmar. In addition, we have made a $2000 donation to BRAC for their work in the Cox Bazaar refugee camp in Bangladesh, where most of the new Rohingya refugees have found themselves. 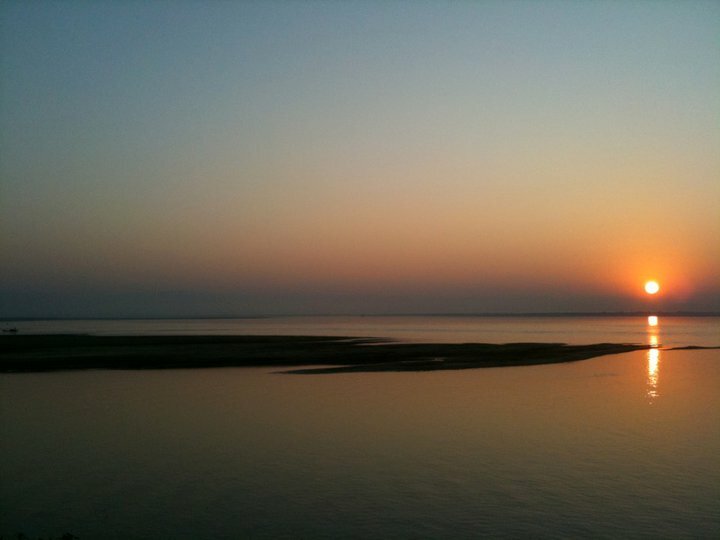 BRAC has a long record of vital work around the world, and in Bangladesh in particular, and we are enthusiastic about being able to offer this support which we will continue in this coming year. We will be returning this January to check in on the progress of these projects, build relationships, and distribute additional funds. Please consider supporting the initiative today. On December 26, 2004, a massive tsunami swept large coastal swaths of the Indian Ocean from an earthquake in Sumatra, including the Andaman coast along southern Thailand. Steven Smith was on his way to Golden Buddha Island where he had been teaching vipassana and metta retreats at the time and had the good fortune to meet Htoo Chit, Executive Director of the Foundation for Education and Development. Htoo Chit is a seasoned organizer for refugees and he had come south from a Burmese refugee camp where he lived along the Thai/Burma border. He quickly set up an aid organization to meet the immediate needs of 30,000 Burmese migrant workers, providing water, food, clothes, and shelter. 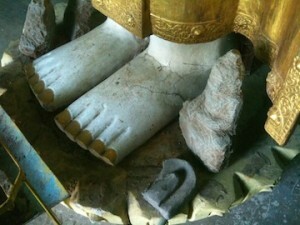 Soon after, he set up a learning center for children in the coastal village of Kuraburi. 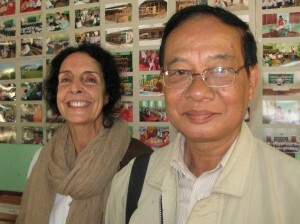 Here began the MettaDana Project’s relationship with Htoo Chit’s organization — and a long friendship. 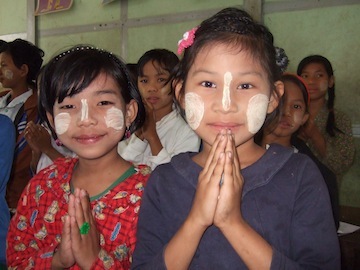 Htoo Chit’s work, and our partnership with him has continued with tsunami victims and the children’s learning centers. It also has evolved to include aid for migrant Burmese refugees fleeing not only the cyclone aftermath but also the Saffron Revolution led by Buddhist monks.